Green Building with Cool Roofs | Crenshaw Lumber Co. Inc. When talk turns to "cool" roofs most think in terms of metal roofs because of the manufacturer's ability to paint metal roofs with reflectant coatings thus limiting heat absorption. But manufacturers of asphalt shingles will not be deterred. Asphalt shingle manufacturers (with the help of research conducted by the military) have devised a formula for treating shingle-topping granules so darker colors (as deep as forest green, brown, and even "cool" black) also reflect enough heat to make a difference in how hot the home's attic gets and how high the owner's cooling bill soars. How do you know the asphalt shingles you choose are considered "cool"? Begin by checking out the performance rating as designated by the Cool Roofing Council. The rating is listed on the package. The Cool Roof Rating Council uses two measures to rate the performance of cool roofs. The first, solar reflectance refers to how much the sun's energy is reflected by the roof. The other, thermal emittance, measures how well the product releases any heat that it does absorb. Both use a scale from 0 to 1, with those measuring closer to 1 performing best. 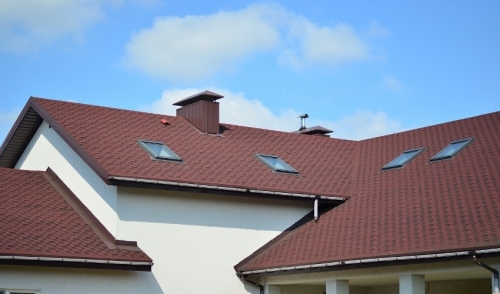 The council estimates that a cool roof can save a homeowner 7% to 15% in cooling costs. Energy Star recognizes cool roof products that reduce peak cooling demand by 10% to 15%. To obtain the Energy Star label, steep-slope products must have an initial solar reflectance of at least 0.25. Three years after installation, the roofing product must achieve a solar reflectance of 0.15 under normal conditions. Cool roofs cost more, but that cost has to be compared against energy savings. As well, some studies claim cool roofs last longer than traditional products because they absorb less heat. Cool roofs are not just for the south and southwest; homes in humid metro areas of the northeast and midwest can benefit, too. Talk to us when you have questions about "cool" roofs. Note: part of this article was adapted from an article appearing in Building Products Magazine by Sharon O'Malley.